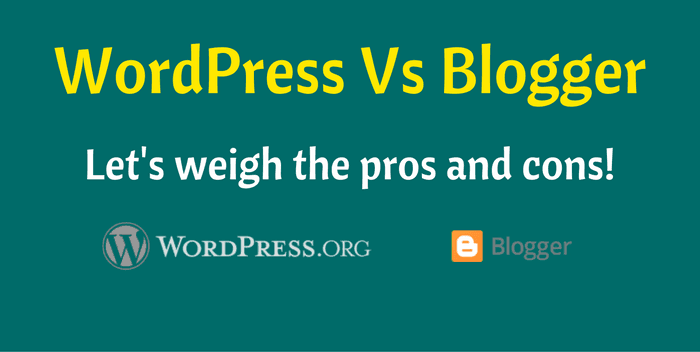 WordPress Vs Blogger: Let's weigh the pros and cons! Blogging has been a contemporary craze in the 21st century. There are countless blogs over countless subjects and issues that you will come across in the World Wide Web. However, looking for the appropriate CMS system to go on with your blogging venture can be an extensive process and somewhat a dilemma, nonetheless. There are various CMS platforms available online. WordPress and Blogger happen to be two of the best blogging platforms which are most commonly used. If you are a regular blogger, then you must have heard of these two famed platforms and most likely have used either of the two or both for uploading your blogs. You probably are abreast with the pros and cons of each of these two blogs. But if you are a newcomer in the world of blogging, you most likely are already aware of the rift between WordPress Vs Blogger and cannot choose because it is hard to decide which of these two infamous platforms are better. Each of these two CMS systems has unique features as well as disadvantages. First of all, knowing the background of WordPress and Blogger is important. Here is a brief history of the two Control Management Systems. WordPress is an open source CMS which is free of cost and is based on PHP and MySQL. It is considered to be the easiest and most popular blogging system used universally in the web. Released on the 27th of May by Mark Mullenweg and Mike Little, it is used by more than 26.4% of the best of the 10 million websites in 2016. It is installed on a web server which can either be a part of an Internet hosting service or is itself a website. It has an abundance of themes and plugins to choose from and can also be installed as in application in mobile operating systems. Blogger, bought by Google in the year 2003 after Pyra Labs launched it, is a platform for blog publications. It utilizes multi-user blogs that have time-stamped entries. Although, Google hosted it at blogspot.com’s sub domain, it also has the advantage of blogs being hosted in any registered custom domain that the blogger uses and is free of cost. The user can have a maximum of 100 blogs per account. It had introduced a major redesign in 2004 adding various features such as geotagging vertical re-sizing and the like. The faceoff between WordPress Vs Blogger is indeed a major one. You might find yourself in a tough position trying to make a decision about which one to choose to publish your blogs. Each of these two blogs has certain pros and cons which are needed to be kept in mind while making your choice. Advantages are what we look for in anything we choose. It is what makes them functional and worth choosing. Since WordPress and Blogging are considered as two of the most famous blog uploading services, their advantages weigh more than any other platform. Here is a list of advantages of the two which can help you make the winning choice between WordPress Vs Blogger. Ownership: Unlike blogger which is owned by Google, Users of WordPress can enjoy a full ownership of their blogs. In the rift between WordPress and Blogger this feature can be used as a shining advantage over the other since Google will have no right to take down your site if necessary. Access to various plugins: WordPress has a countless number of plugins which you can use to make your site even better. Tons of themes and layouts: The number of customizable themes and layouts in WordPress is overwhelming. Change templates, switch your blog design, and enhance layout and everything you need to make the appearance of your blog better. Active community support: WordPress has a very active community support system where there are community forums, online documentations, IRC chatrooms and the like to fix your problems in a go. Free of cost: Free stuff is what people eye for the most. This is best advantage of Blogger. It is free of cost. 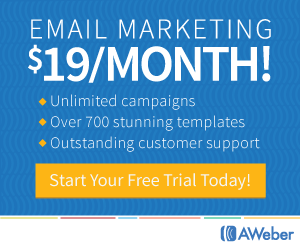 There are no hidden and additional fees unlike WordPress. Availability of plenty of designs: Even though WordPress is unbeatable in its collection of themes and designs, Blogger also has plenty of designs to choose from. Easy to use: WordPress often gets complicated in the later stages. Blogger is extremely easy to use and is ideal for beginners. Security platform: Blogger has the additional advantage of having Google’s security platform. Securing your blogs and creating backups is an easy task. The choice between WordPress and Blogger is indeed a challenge. However, these two blogging platforms come with a few disadvantages as well. Listing out these disadvantages might turn out to be advantageous for you while you tally the pros and cons and then make a final choice. Since, Blogger Vs WordPress is probably an online rift that will continue for quite a long time, newbie bloggers will have to go through a hard time making a choice between the two. Hence, here is a list of the disadvantages that might help you choose. Paid: Every good thing comes with a price. So does WordPress. Unlike Blogger, it costs money to use WordPress and the more elaborate your blog is, the costlier it gets. Responsible for own security: Unlike Blogger, which has the support of Google as its security system, the security of your blog is in your own hands. Even though it is pretty secure to use, it is still a self-hosted platform and you are responsible for the security backups. (Can be) Complicated to use (for some): Unlike Blogger, which is free and easy, using WordPress, gets pretty complicated in the later stages. Limited Ownership: Blogger is a service provided by Google. Hence, Google can choose to shut down your site if necessary and whenever it wants. Limited tools: Blogger provides with a limited range of templates to use. You cannot change layouts and modify your site unlike WordPress. Lack of proper support system: Choices are very limited when it comes to the support system of Blogger. It does not have an active security system. Hence, if a problem arises, it might be hard to solve. Portability difficulty: Moving your site from Blogger can be challenging. There is a risk of losing your SEO and followers as well. 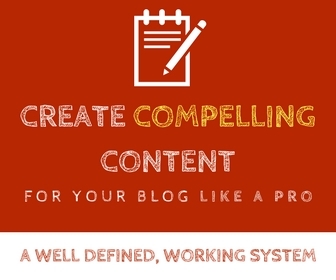 Blogging is a very common online activity that people engage themselves in nowadays. To many, it is a habit. However, choosing the right platform can be difficult. The raging online battle between Blogger Vs WordPress might turn out to be big, but don’t let that overwhelm you. Take your pick wisely and blog away. When it comes to loading speed, I like Blogger way better than WordPress. However, Blogger has very limited features and plugins, so WordPress wins this. Nice comparison between WordPress and Blogger mate, even though I never used blogger platform, I may never consider it. As I’m more than happy with WordPress, I always prefer using WordPress due to it’s highly customize-able and wide range of themes and plugins as well as user friendly interface. I have seen many event bloggers go with blogger as it can handle better real time than WordPress (According to some!) I may have to try blogger once, at least to know how is it differ from WordPress. I am a blogger also and i have accounts on both sites.But i like wordpress very much because it is very easy and accessible. Ya it’s a little bit cost for some plug-ins and the hoastings. But for the good thing we can spent some money.But bloogers is not good for my point of view and i don’t like it’s interface.It is very boring. Although it’s google but they have to do something new for their sub-domain.I can say most people are now moving to wordpress because it’s as easy and very presentable. I have always preferred Blogger rather than wordpress.org but it’s really great to know about the pros and cons about both of them. Have a good weekend and thanks for sharing. I would say WordPress is better than blogger. But in WordPress you can do a lot with design and more aspects. BTW nice post and Good to know the PROS and CONS you have shared. Matt Cutts also use wordpress for his personal blog, according to me, wordpress is a comprehensive package for blog and blogging is simple and easy to start blog. WordPress is best for blogging. if you are a professional blogger, want to hit a specific target from your blog then go with wordpress otherwise its your choice. This is really amazing and useful post. I would like to say blogger is great and easy to use because I always using blog but Blogger has very limited features and plugins compare than wordpress. So it was true WordPress win this. In my blog i recommend other aspiring bloggers to start in a blogger platform because there is no bad thing about it, you can easily start a blog from it if you just know how to proper way in changing a template design, Blogger is the best platform that is free but i remind them not to copy other blog’s conent because it will be useless in the long run because it will be shutdown once someone or the owner of the content detects that it is not yours.